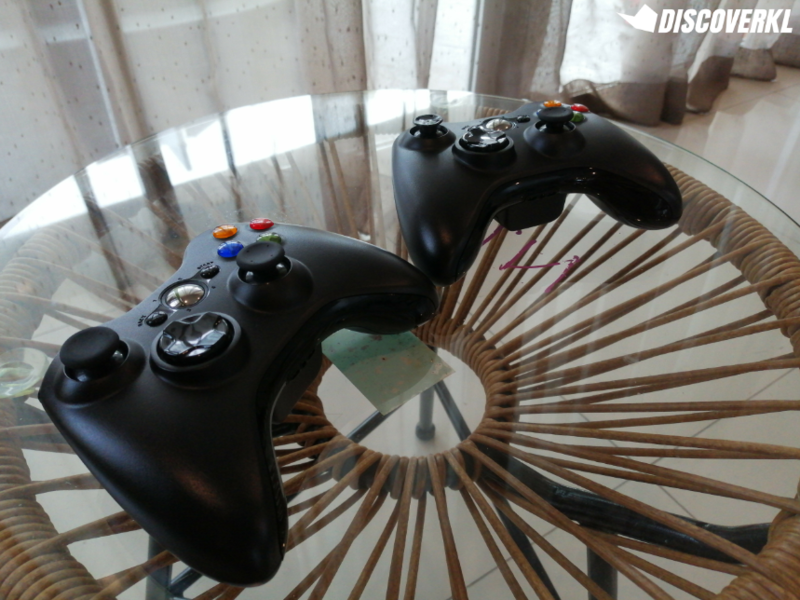 An arcade room is not your run-of-the-mill facility at a homestay, much less one with a hacked arcade machine which no longer requires a steady feeding of game tokens. As someone who has never had the privilege of spending more than a few tokens in an arcade machine at any given time, this is pure bliss. 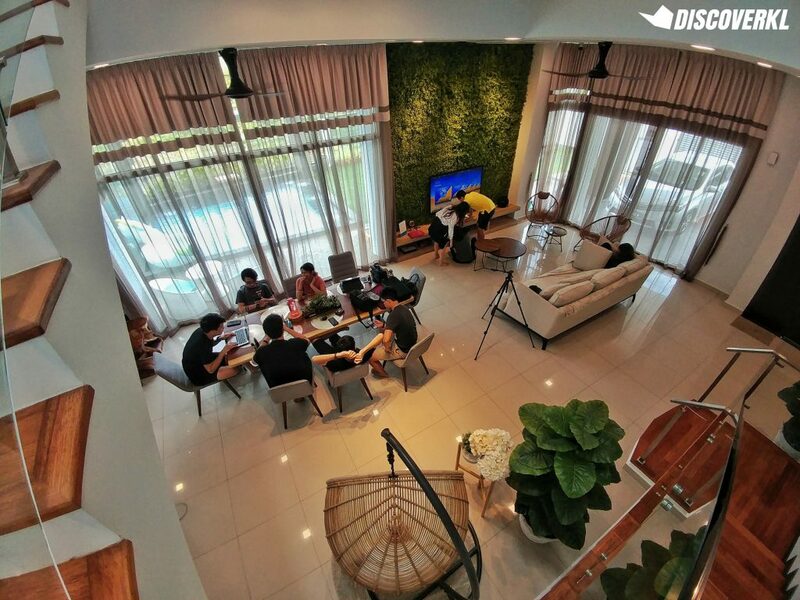 During our recent stay at IO Home, I realised that it resembles a dream house that kids used to draw in their sketchbook with crayons. 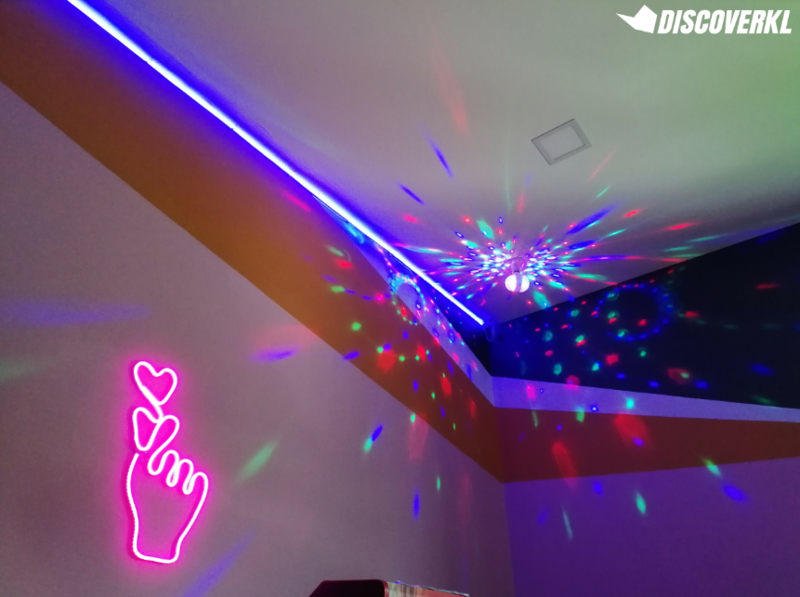 An arcade room with dancing disco lights, check. A reversible snooker table which reveals an air hockey table on the flip side, check. 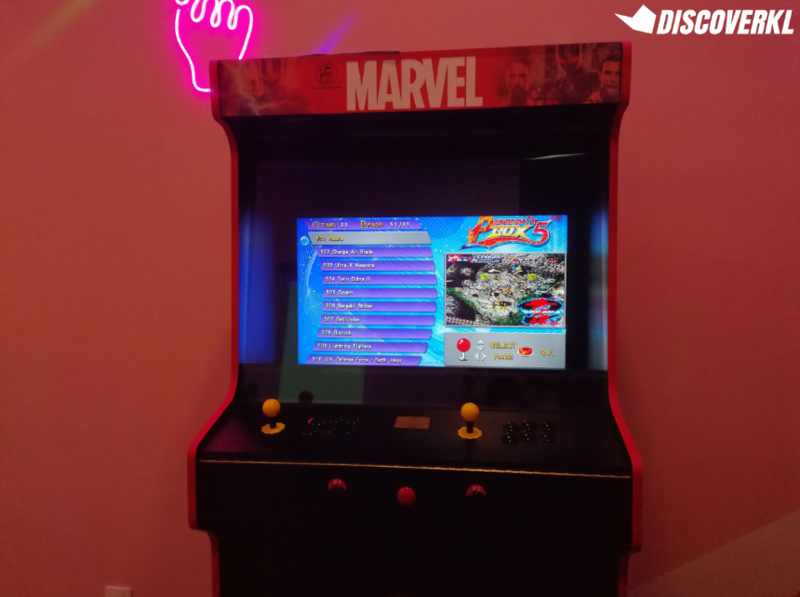 Endless arcade games you’d gladly waste your life away on, check. Essentially, it’s built by an adult with childhood dreams he couldn’t forgo—and thankfully so. 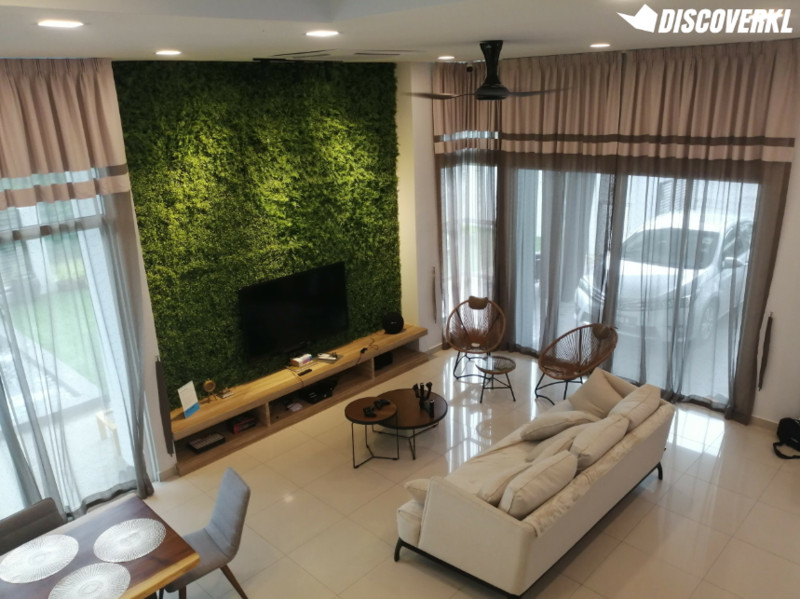 The 3-storey house is located in Rawang and is only 10 minutes away from the town of Rawang. 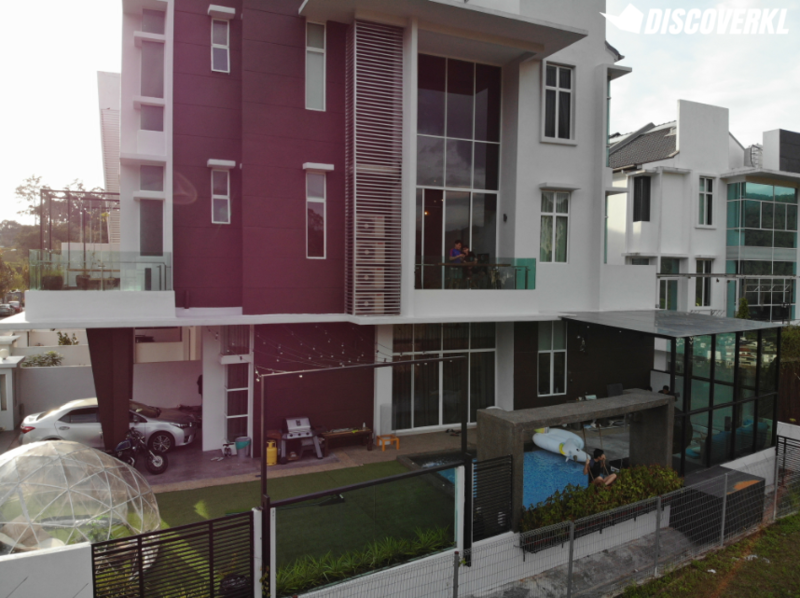 While the neighbourhood is lined with identical houses like the unit we stayed in, what immediately sets IO Home apart from the rest is its unique glasshouse concept. Joewel shared that the home has been refurbished to have the IG-worthy appearance it has today. 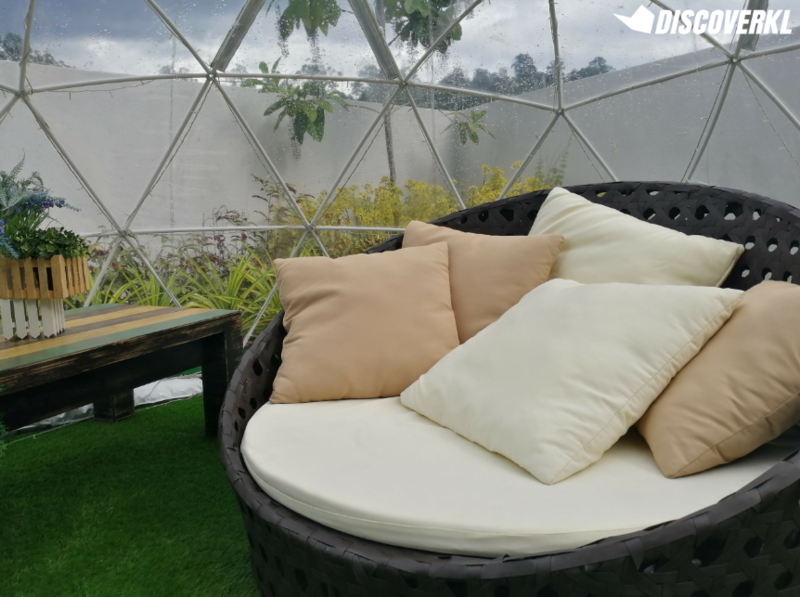 The garden igloo dome (decked with fairy lights) and the home’s glasshouse concept are the first few things you notice upon entering the home. 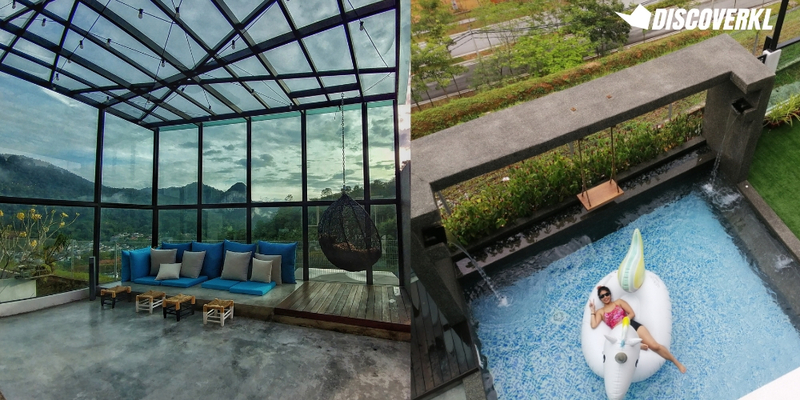 Sure, some might argue that the glasshouse concept would be redundant, save for aesthetics, in a warm and humid country like Malaysia. But in a holiday home, aesthetics are a huge aspect and could even be the deciding factor. 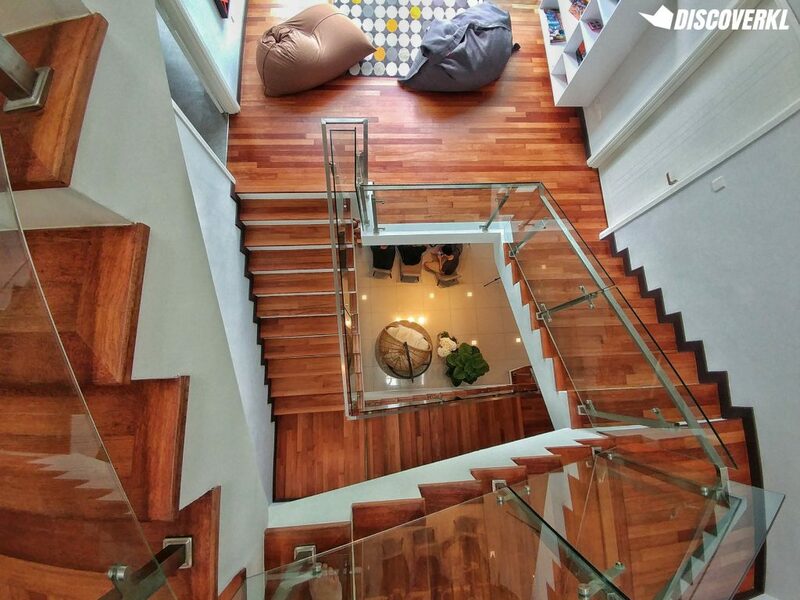 IO Home’s aesthetics stretch beyond just the glasshouse concept. 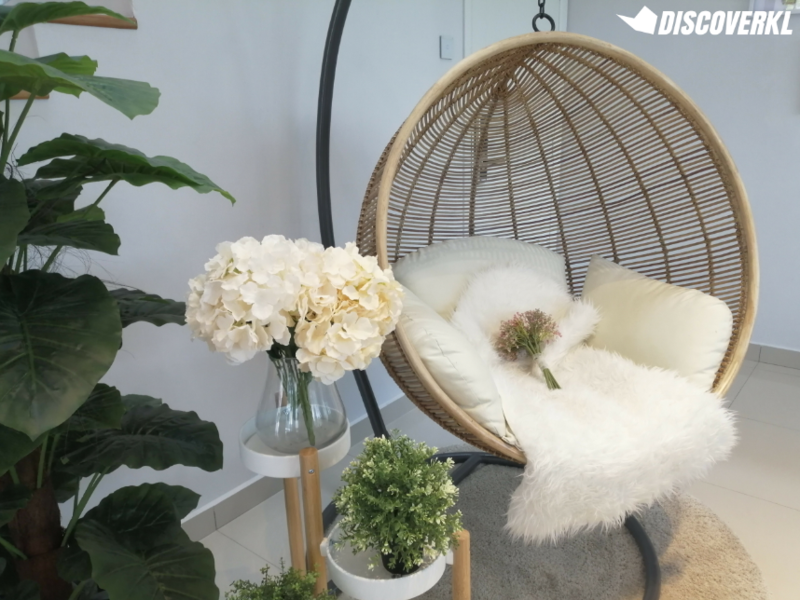 Wicker swings, a pool decked with a life-sized unicorn float and the general lounge area scored points on the beauty scale too. 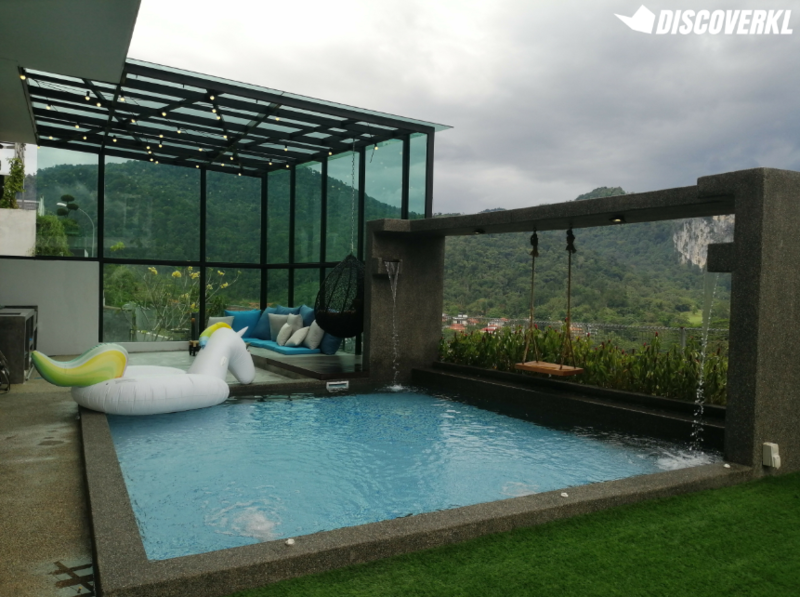 But beauty aside, the Rawang homestay is practical and made with homebodies in mind (yes, you might not even want to leave the home). 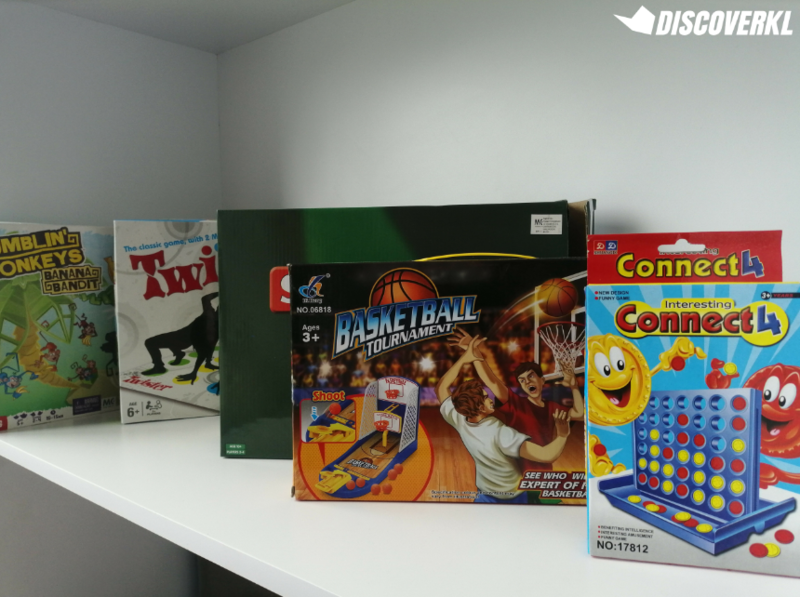 Alongside the arcade room (which is arguably the coolest aspect of the home), an XBox 360, card and board games are also available at IO Home and you can easily spend hours playing them—like we did. There are games which cater to young’uns such as Tic Tac Toe and Pirate Barrel. And then there are games for larger groups like the UNO deck and Monopoly. 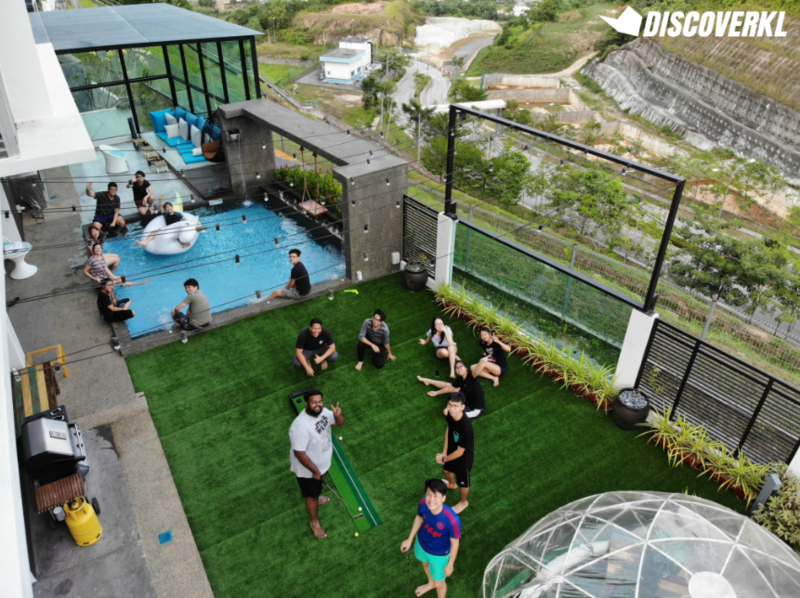 But as cool as the home is indoors, we chilled outdoors (usually by the pool) most of the time. Regardless of whether you swim or not, a dip in the pool is a must. 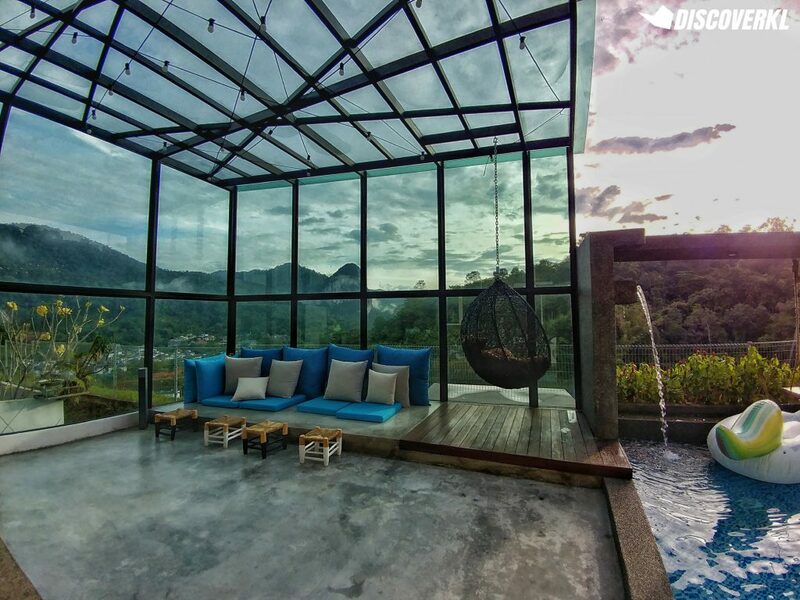 With a pool overlooking the mountains, chilling poolside is a to-do when staying at IO Home. And the best time to head for a swim is during the evening or early in the morning. Alternatively, if you’re an adrenaline junkie, these are also ideal times for a hike. We woke up early solely for the purpose of hiking up Kanching Falls and at 7am, there was hardly a soul. Due to it having rained the evening before, hiking past Level 4 would be far too risky and we decided it won’t be wise to hike past that point. 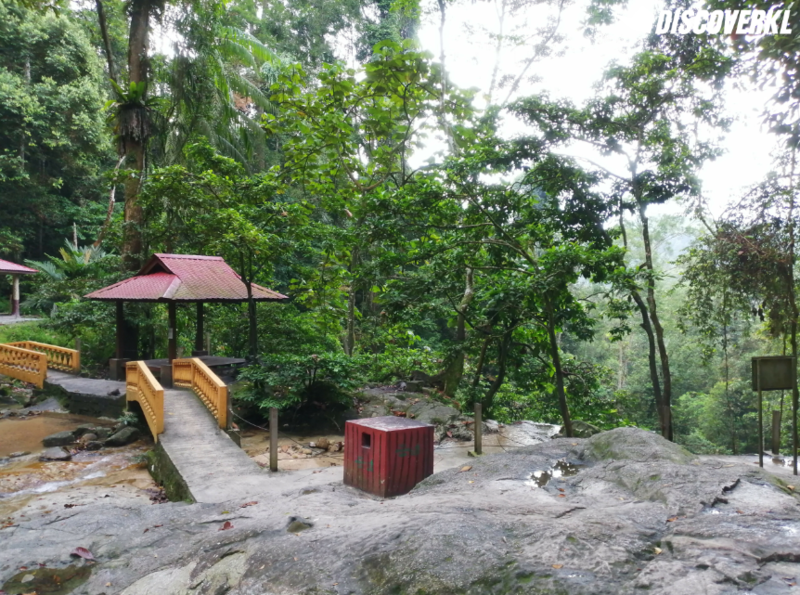 If you’re planning to hike up Kanching Falls, do note that the hike is made up of 7 levels—the first 4 levels comprise of stairs and will take an average hiker 20-30 minutes to ascend. The stairs end here and it will take you an additional 30 minutes to reach the peak. Joewel also warned us of the monkeys, and boy were there plenty but for the most part, they were friendly and did not approach any of the hikers. After our hike, we made breakfast in the kitchen which is already pretty well-equipped. 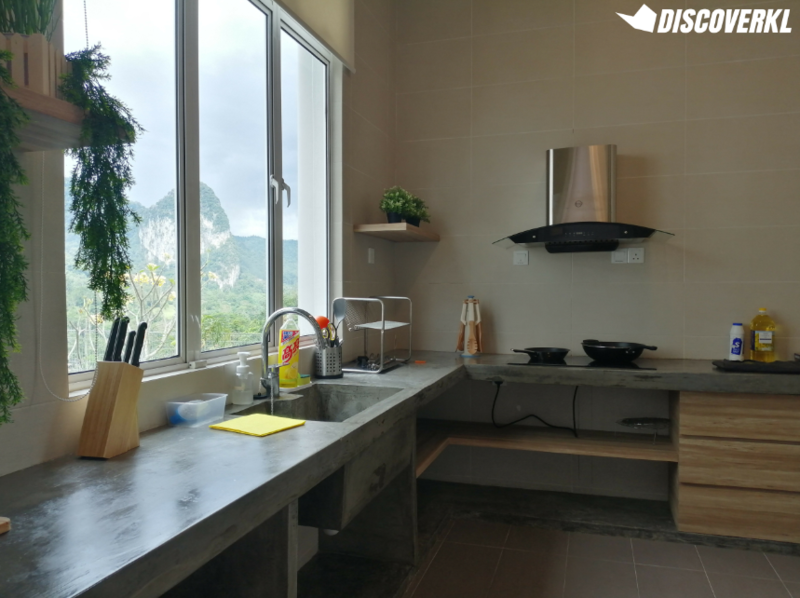 We only needed to bring along our own ingredients as the house is already well-equipped with all the cooking essentials. 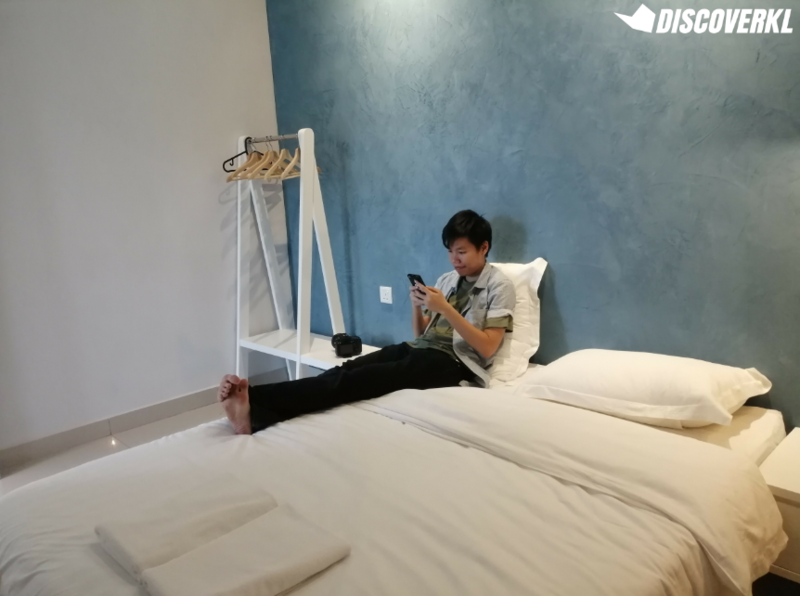 Joewel was beyond accommodating while we were planning for our staycation. When asked if there was a toaster in the home, he sadly shared that there wasn’t any, but quickly went out to purchase it for our use and for future IO Home guests. 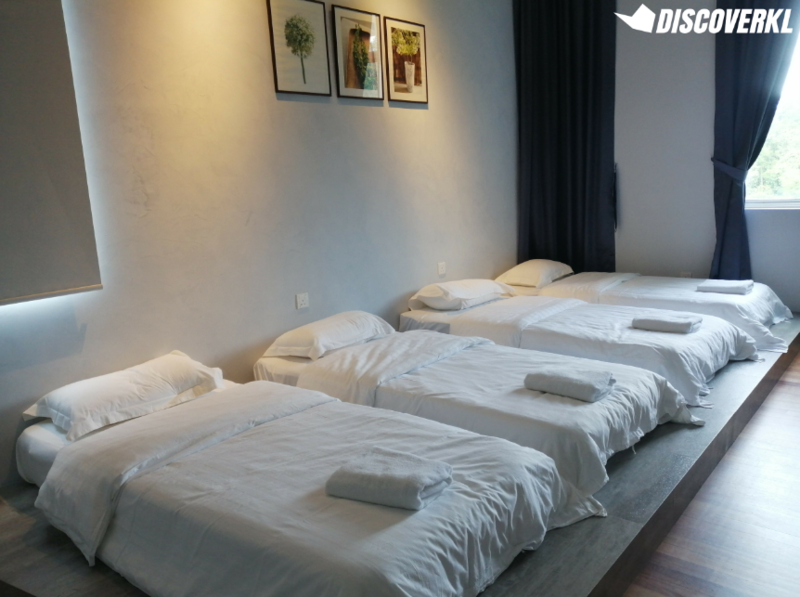 On top of that, upon learning that our group consisted of 17 pax and there were only enough beds to comfortably sleep 15 people, Joewel arranged for 2 extra mattresses, along with additional blankets. 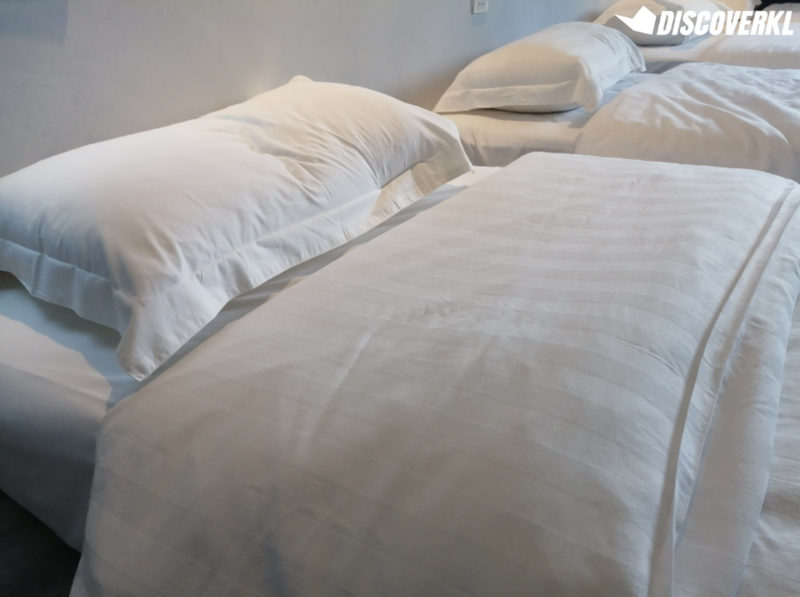 Joewel shared that the bedding at IO Home is of a 5-star hotel quality, and this includes all the linen, bed sheets, pillows and mattresses. 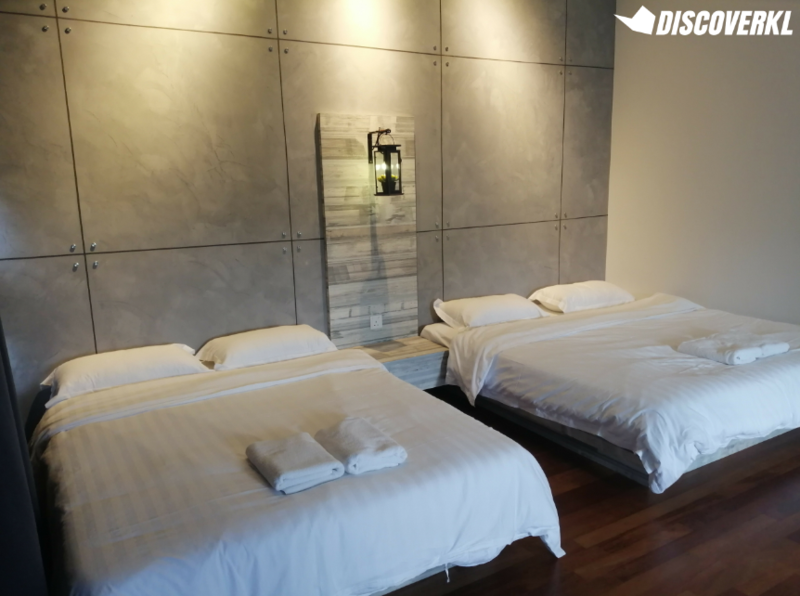 The rooms also come with an en suite bathroom and a rain shower. There’s also an additional bathroom in the arcade room. 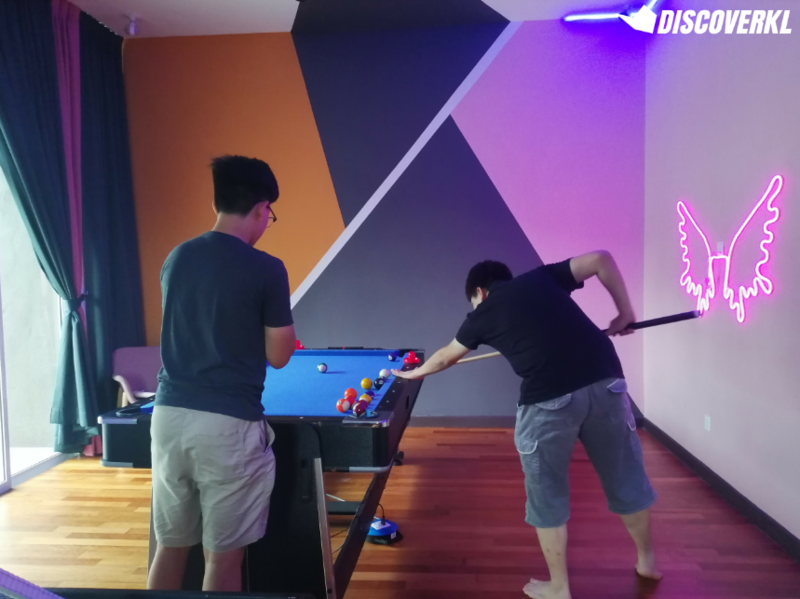 While plenty of glass house homestays are often times branded as party houses, what sets IO Home apart is how family-friendly it is (without sacrificing on the fun aspect). 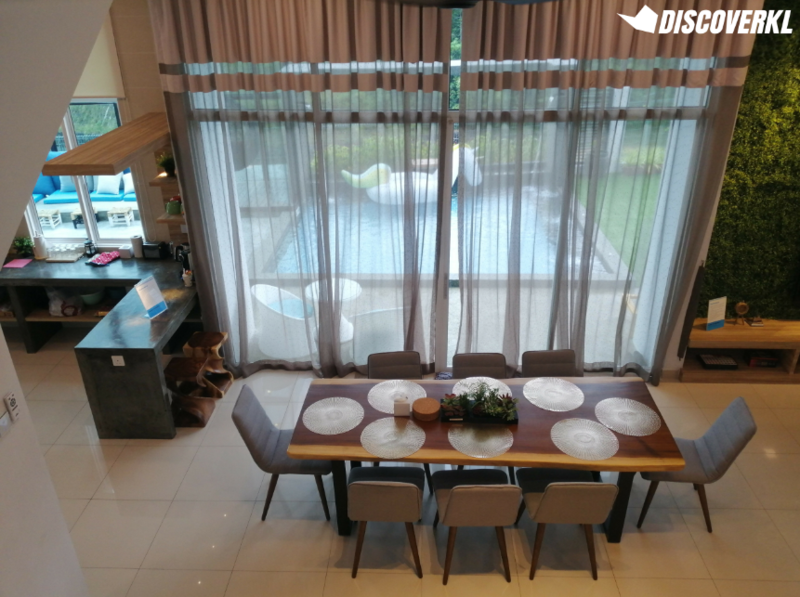 Catering to homebodies, the home is well-equipped with all the necessities, so much so that we didn’t even feel the need to leave the place. After all, we also brought along ingredients for cooking. 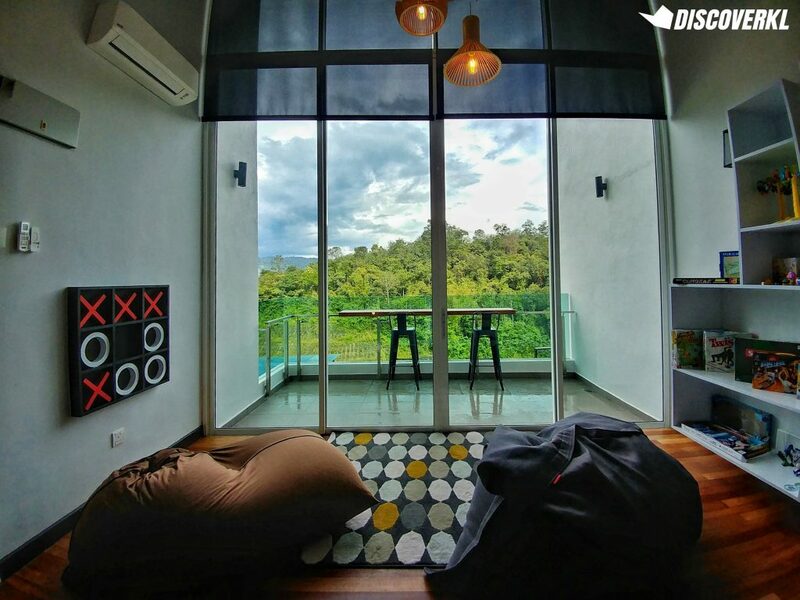 Ideal for groups of 17 pax and below, one night at this homestay is priced at RM1,600. 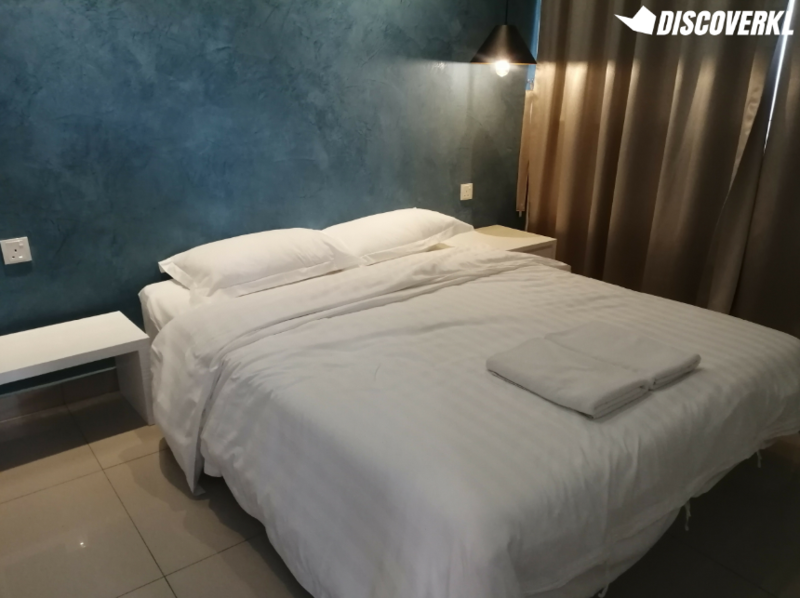 That’s an average of under RM100 person, per night. Frankly, that’s a pretty decent price for a luxury homestay. And you can play Metal Slug all night long too if you wish. Win.